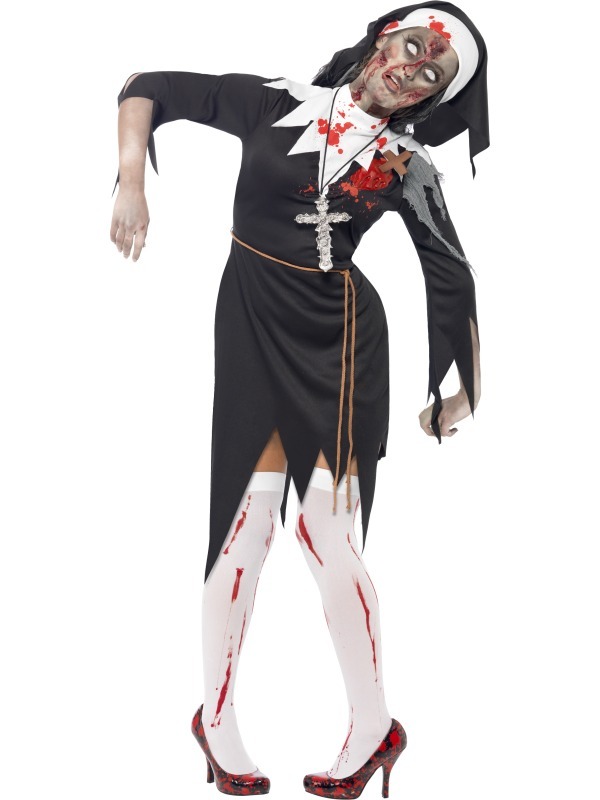 Here is one nun that you would not want to run into at the abbey on a dark evening! 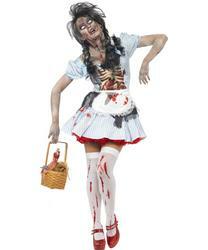 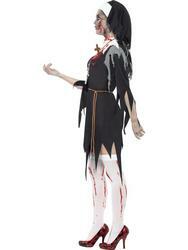 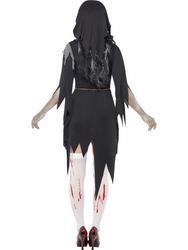 Turn yourself in an undead nun in our Ladies' Zombie Bloody Sister Mary fancy dress costume. The zombie costume is comprised of a black dress with jagged sleeves and bottom hemline and a gory latex wound to the shoulder, a white collar with red 'blood' stains and a brown robe belt. 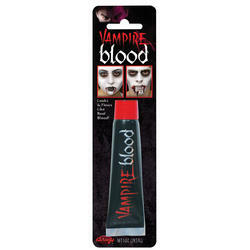 Completing the look is a black and white nun's habit with matching scary blood splatters! 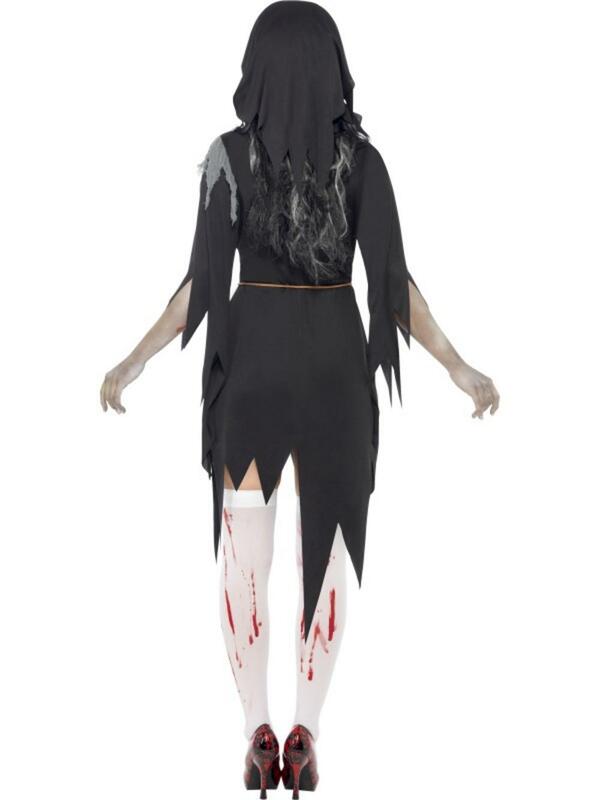 Look horrifying at your next Halloween fancy dress party in this gruesome zombie costume.